Are you the one who has a strong passion to experience the thrills of life? Are you willing to have the most amazing experience of different kinds of adventures? If yes, then Vijayalaxmi Tours And Travels is the one stop destination for you. Located in Port Blair (Andaman & Nicobar Islands), our tour and travel company is engaged in offering you the most fantastic Adventure Tours all across India and overseas. Various adventure sports like cliff hanging, parasailing, river rafting, snorkeling, scuba diving, paragliding, etc. can be experienced. 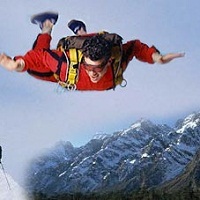 We will suggest you the best spots for adventure activities, so that you can have true experience of adrenaline rush.